My son is 6 and I can remember just like it was yesterday the sleepless nights I got as I had this crazy fear of middle-of-the-night breathing or suffocation risks. I did not co-sleep ever because of that risk and I had him in a sleeper next to our bed. I would even fall asleep at night with my hand on his chest feeling him breathe. I got this fear the week I ended up going into labor with him. I was taking a bath and had a Readers Digest I was reading and it was a story of a Mother who lost her 8-week old to a sleeper in his crib. I balled as a hormone-filled, very pregnant Mom would and it gave me this fear that just stuck! It was probably more of an anxiety that stayed with me right at the end of pregnancy. I did use a bumper because I was afraid of injuries, but I also knew there were suffocation risks, so I would roll breathable blankets up and tuck them at his legs. 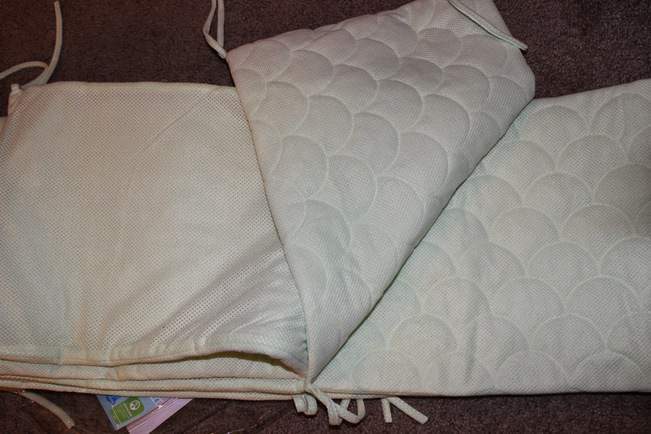 His blanky was a quilted blanket with holes so it was breathable and I returned any fleece blanket gifted to me. Did I just give you anxiety reading that? Sorry! I would have used the Breathable Bumper by Ubimed without a doubt if they existed. 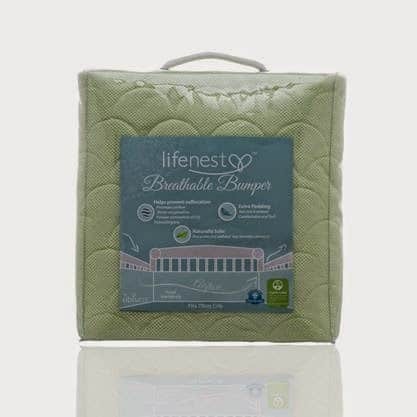 There are so many benefits to using this crib bumper that it seems that Ubimed thought of everything while designing the Lifenest Breathable Bumper. Learn more and get your Lifenest Breathable Bumper from Umimed today! Makes a great gift for a new or soon-to-be Mom!